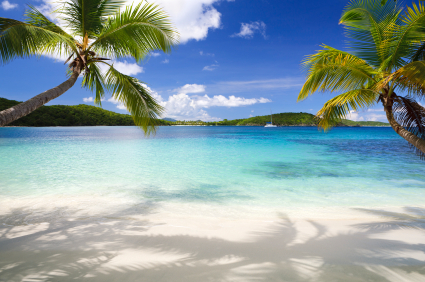 International Living has been helping people retire overseas for more than 30 years, so if you’re new to the idea of retiring overseas, you’ll find everything you need to know here. 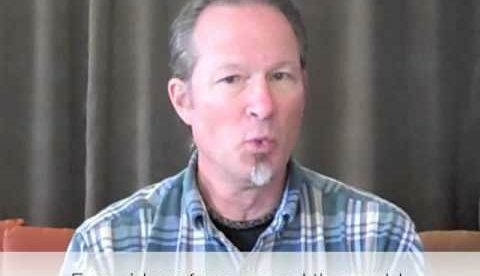 Below is a video from International Living editor Dan Prescher. Dan and his wife, Suzan Haskins (who also writes for International Living) moved overseas 13 years ago and haven’t looked back. They have been living overseas in some of the most beautiful and affordable destinations in the world…and have learned a lot from their experiences. Dan says: “I have to tell you, I would have preferred to learn some of those lessons BEFORE we sold the house, put all our worldly goods in storage, hopped in the car with our dog, and headed into the unknown. Suzan and Dan have lived in various countries in Latin America, where they have enjoyed a perfect climate, great health care and a low cost of living. Right now, they live in Ecuador and their utility bills… water, gas, electricity, everything…amounts to less than $40 per month. And best of all, Dan says, the air is pure and the water is clean, and they get all the exercise they need and then some simply walking around town each day. See this video from Dan below to help you through the 8 easy steps to make your own transition to a happier, healthier, more affordable life overseas that much easier and quicker. And then see the links below this video to find out more about how International Living can help you to your new, dream life overseas. The first thing you should do to get started is sign up for International Living’s free daily postcards. In these postcards you’ll learn about retirement, property, travel and lifestyle opportunities from around the world. Read about the destinations you’ve always wanted to know more about… and some you may not have even heard of yet. If you’re looking for information on a particular country of interest, go here to see our top recommendations. You can also check out our drop down menu on the left hand side of each page on our website. You’ll find information on almost every country in the world—from Costa Rica to China…Italy to Australia…76 countries are covered there. If you’re unsure of which country is right for you, take our quiz to find out which country suits your needs. Don’t just take our word for it… For inspiration, see our Expat Profile section to learn more about readers who have successfully made their own move overseas. The next best thing to being there yourself is to check out International Living’s videos from our editors and contributors around the world to really get a feel for a country that may be on your wish-list as the perfect retirement or relocation destination. And then, tune in to IL Radio—featuring information on the best places to live, retire, travel and invest overseas. This is where you’ll really get the first-hand information straight from the horse’s mouth… people who are living the good life abroad right now tell you in their own words how they did it, what worked for them, and just as importantly, what to avoid in your own adventure abroad. 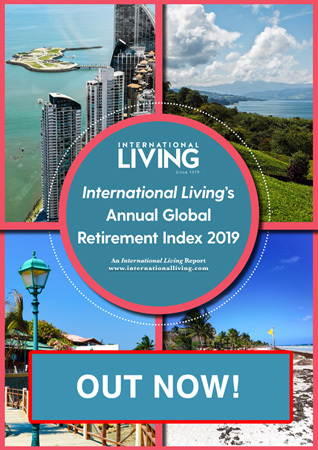 Be sure to take a look at our free online sample issue to find out more about our monthly magazine, International Living. This is one of our best resources if you’re really serious about moving overseas. In each issue we detail in-depth information on moving or retiring overseas, making money, saving money and learning all the ins and outs on buying property abroad. Then check out our Bookstore and stay in the loop with all our latest products. From moving overseas and real estate, to travel and asset protection, you’ll find a book, a kit, or a publication on every topic you need to know, written by the experts. Follow us through our various social media outlets (Facebook, LinkedIn, and Twitter). Note that we have various Facebook pages. You’ll see a lot of our editors and writers on the International Living Facebook page, where you can keep you up to date with all our latest content and news. The International Living Events section will really start you dreaming. Our world-class conferences and seminars are held in some of the most beautiful and historic cities on earth, and that’s where you’ll get to meet the International Living writers and staff members you’ve seen in videos and read in the daily postcards and in International Living magazine. These conferences have helped countless people find just the right locations, protect themselves from the falling dollar, network with other expats and experts, slash their cost of living, and avoid the most common mistakes made while moving or investing overseas. So get on in here… browse around by using the navigation bars or see some of the articles below… and take advantage of more than 30 years of International Living research, writing, and experience as you plot your own course to a happier, healthier, more affordable life abroad.